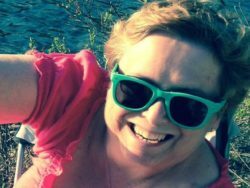 Kim Hald - Heritage Funeral Homes Inc.
With a broken heart the family of Kim Hald announces her passing at the Guelph General Hospital on Tuesday, February 19, 2019 after a hard fought battle with C.O.P.D. in her 61st year. Left to honour their beloved mother’s memory is Trevor Hald of Orangeville, Tonya Hald and Michael Lavigne of Sudbury and Kaitlin Hald of Toronto. Cherished daughter of Murrell Kelley of Arthur and the late Joyce Kelley (2010). Greatly missed by her siblings Bonnie and Paul Kidnie, Penny and John Dyce and Wayne Kelley. Fondly remembered by nieces and nephews Bryan, Amanda and Emelia Kidnie, Blaine Kidnie and Michelle MacKenzie, Kierra Kidnie and Dan Bossenberry, Danielle, Scott, Chase and Blake Jones, Doug Dyce, Sarah Connors, Brixton and Crewz Dyce. Kim loved her cat Ellie May who will miss her companionship greatly. She will also be missed by her aunts, uncles and many friends. To honour Kim’s wishes cremation has taken place. A private family service will be held in the Arthur United Church. As expressions of sympathy and in lieu of flowers donations to the Guelph General Hospital I.C.U. would be appreciated by the family.